What Would You Choose: Medicine or Food? Choices – we all face them in our lives and some are harder than others. Helen knows all about making difficult choices. Now in her 70s, Helen formerly owned and operated a small business for years until the economy forced her to close the doors. Making final payments to her vendors only added to her pile of debt. Health problems now make it impossible for Helen to drive, so she has to take $10 out of her $50 per month food budget to take a taxi to the grocery store. When our staff met Helen, she had only two chicken breasts and a few eggs to last her the better part of a month. 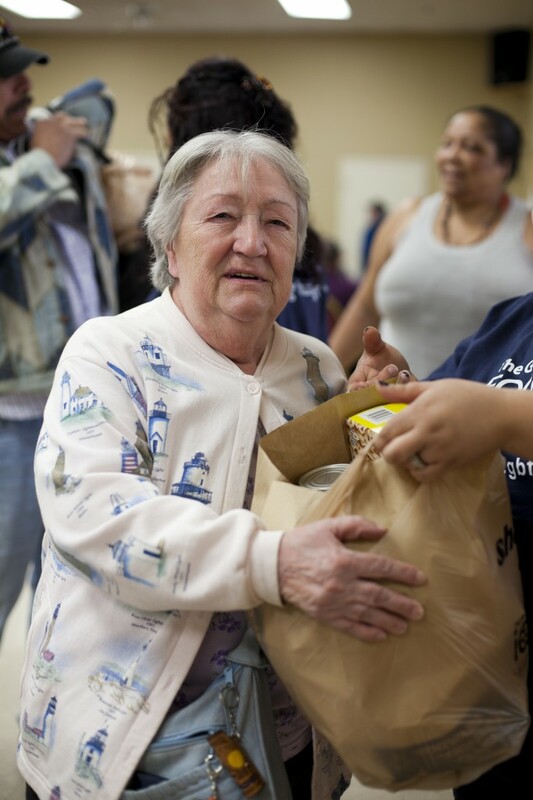 For the 629,000 individuals who live in food insecure households in our service area, the choices they make determine whether they or their family will have a nutritious meal on the table or a warm home this winter. Some will choose to have a full pantry rather than an essential, potentially lifesaving medication. Many will water down food or drink to make it stretch as far as possible. Imagine yourself in Helen’s shoes: What would you choose? How would you survive? Your generosity helps eliminate the need for our neighbors to make tough choices. If you’d like to help, please donate to support our work.